A string of high-profile multi-million dollar settlements against the San Francisco Municipal Transportation Agency indicates that the city would save millions in the long run by putting forward funds to improve street safety for cyclists and pedestrians. This point was underscored last week by a record $5.36 million Muni settlement for a 2008 Muni accident that killed cyclist David Wheeler near Ocean Beach in San Francisco. 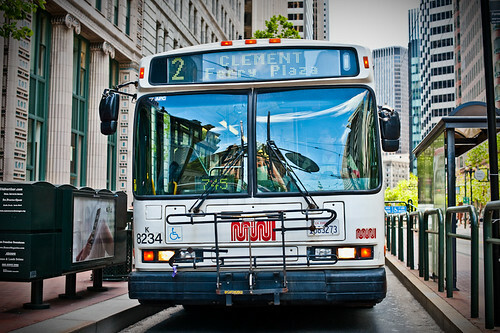 Wheeler was killed in November of 2008 when Muni bus operator Roy Timmons neglected to stop before turning left, according to documents filed in the San Francisco Superior Court and reported by the San Francisco Examiner. Court documents also show that Timmons failed to use his blinker, sped up, and used a particularly tight turning radius, all factors that led to the fatal bike accident. Due to the alarmingly high number of bike and pedestrian accidents in San Francisco, the city’s MTA took out a massive insurance policy covering accident settlements in the range of $5 million to $25 million in 2009. But since this accident occurred before new insurance policy went into effect, the $5.36 million settlement will come from Muni’s 2011-2012 operating budget, which already includes a predicted $22 million deficit. This is just further evidence that although budgets are slim throughout California, cities could save millions if they would put funds toward street safety initiatives to prevent fatal pedestrian and bike accidents before they occur. More than anything, these tragic fatal accidents should remind San Francisco pedestrians and cyclists to stay safe on city streets. But while city residents would be served by safer streets, it’s clear that the city’s budget would also benefit from safety investments that would reduce future multi-million dollar wrongful death lawsuits. Hello, My dad was hit by a muni bus in SF on Aug 25th which cause has death later in the hospital. I would like to speak to your law firm in regards to this matter asap, as I am currently looking at a contract from another attorney who is interested in taking up this case. Looking forward to you quick response. Thank you.